"LAKE DIOMABOC: A Glimpse of Tourism Development thru EO 70"
Executive Order No. 70 or better known as Institutionalizing The Whole-Of-Nation Approach in Attaining Inclusive and Sustainable Peace, Creating a National Task Force to end Local Communist Armed Conflict, and Directing the Adoption of a National Peace Framework jumped its implementation in Barangay New Taokanga in the Municipality of Manay. After its postponement last March 20-21 due to tropical depression Chedeng the event was finally settled last April 4-5 at Barangay New Taokanga, Municipality of Manay. This project was headed by the Provincial Governor Nelson Dayanghirang with the Project Manager Sir Ednar Dayanghirang and was supported by the Local Government Unit of Manay thru Mayor Antero L. Dayanghirang Jr. and participated by various National, Provincial and Municipal Government Agencies especially the PNP and the Philippine Army. The Whole-Of-Nation approach was an exact opposite of the NLD Caravan done by the Provincial Government in which they gave assistance directly to the beneficiaries. Here, there was an in-depth diagnosis of the problems, issues and concern by the community thru the different offices concerned from soft projects such lack of trainings to hard projects such as roads and other infrastructures. The approach also aimed to address the root causes of insurgencies, internal disturbances, tensions and other armed conflicts and threats by prioritizing and harmonizing the delivery of basic services and social development packages in conflict-affected areas and vulnerable communities (1). As one of the results, the provincial and municipal governments eyed for boosting Tourism developments in the area especially Lake Diomaboc in order to create more jobs in the area and also to hit the major objective of the Duterte Administration towards ending communism. The stunning 15 hectares of inland water body, Lake Diomaboc made its mark as it went from a Regional awardee to a National Finalist to the prestigious Most Cleanest and Greenest Inland Bodies of Water in the Philippines in 2002-2004. Set also in a high elevation, it was also considered as the biggest lake in the province and the mirror to the highest peak of Davao Oriental, Mt. Kampalili. With the future developments, the Office of the Barangay New Taokanga thru Punong Barangay Mariano Bayacag was thankful to the different agencies. Sir Ednar Dayanghirang also cited that Barangay New Taokanga was the first to implement the EO 70. Heads up for this coming summer season! 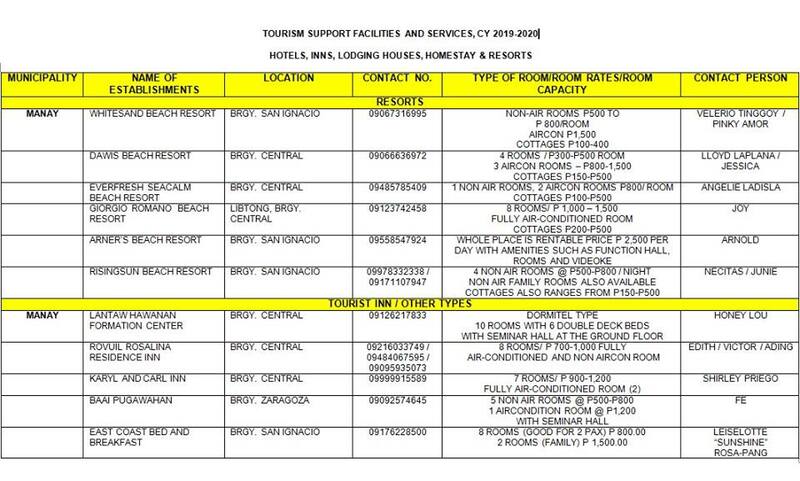 Here are the list of accommodation establishments in the Municipality of Manay! Kadi da kamo! Come, enjoy and explore Manay! 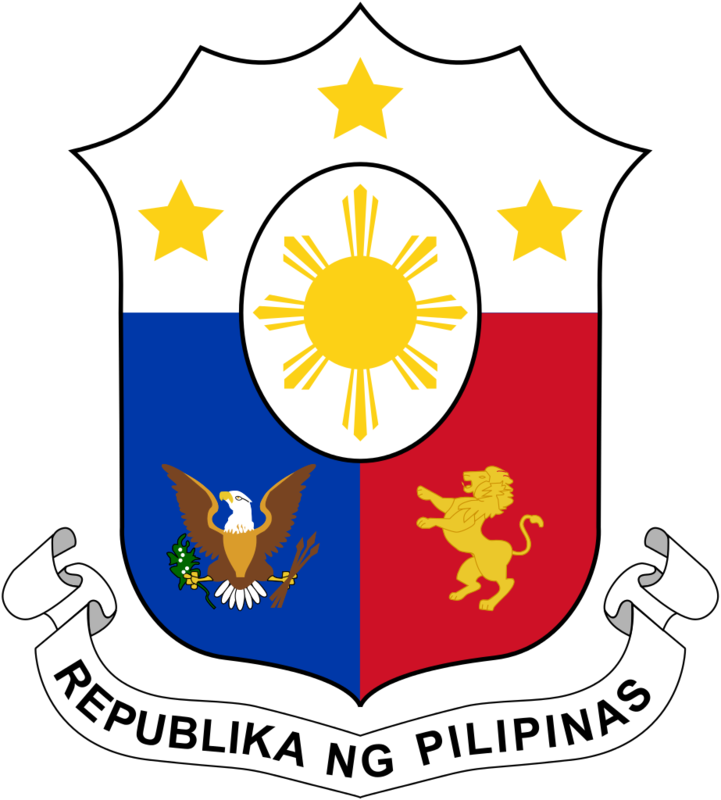 The Information Systems Strategic Plan for the Municipality of Manay, Davao Oriental is being formulated to underscore the municipality's adherence to its commitment and compliance with the provisions of E-Commerce Act, specifically Section 27 } , which directs all agencies in the government, to employ the use of electronic means in various government transactions. The LGU of Manay has manifested its intent to be considered as one of the pilot beneficiaries of the project Jumpstarting Electronic Governance in the Local Government Unit, and has correspondingly attested its commitment and support to implement and sustain the project.